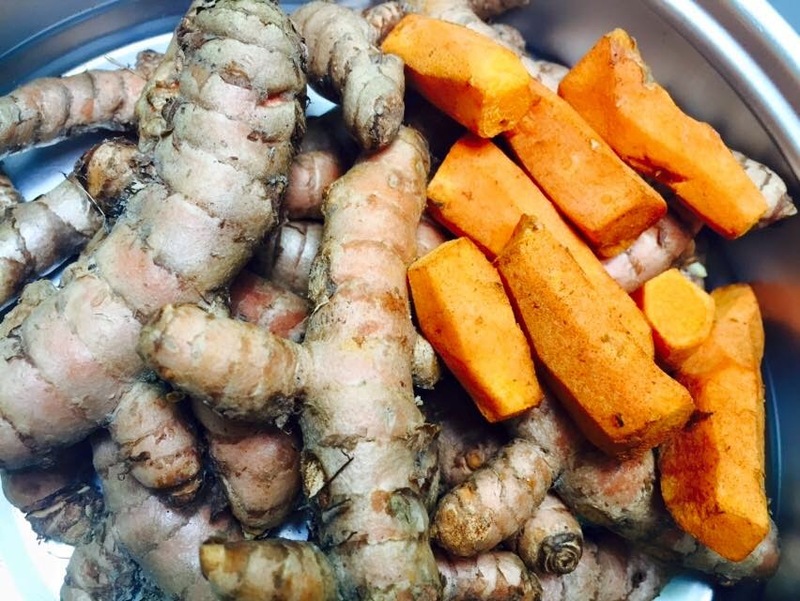 Turmeric is a kind of ginger that is orange-y in color and found in Asia. Aside from having medicinal properties, this is also used as a dye in the olden days. In the Philippines, this is called, "luyang dilaw" and greatly favored by our grandmas especially in making "salabat" or ginger tea. I grew up in a home where "salabat" is a staple. My mother used to make salabat powder and sold them to friends. This was a long time ago when powdered salabat is not available in the groceries. I also read in a book (a book about natural food cures) that turmeric is anti-inflammatory and is given to young children who suffers from jaundice. But for my family, we drink salabat to make the body warm. My father and I have asthma so drinking salabat made from turmeric can help make the body warm. Turmeric is also good in lowering the cholesterol level and I have an aunt who treats wounds using turmeric paste. Turmeric tea is also given to us when we have upset stomach and according to my elders, it is good in aiding digestion. Then I came across Turcumin. 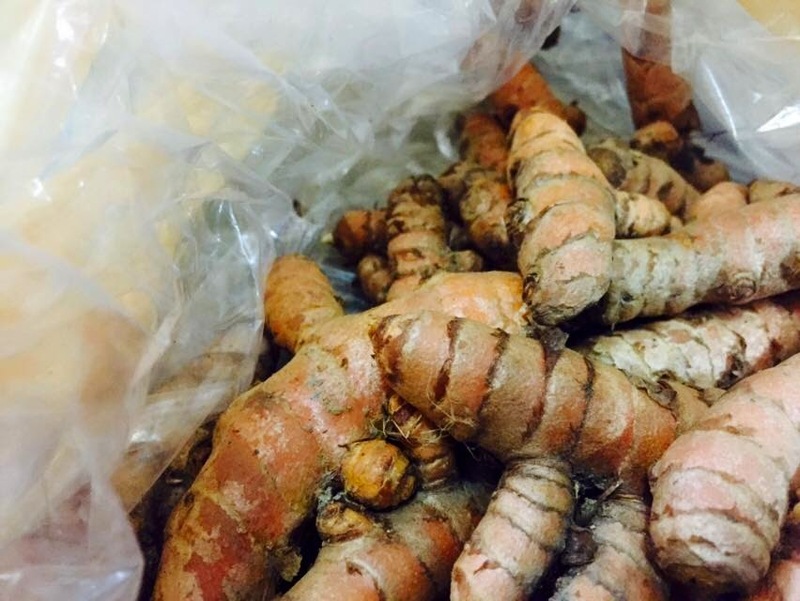 This is turmeric in capsule form so no need to peel, boil or grate. At first I thought that Turcumin is (turmeric + cumin) but later found out that it's (curcumin) something found in turmeric that has the medicinal property. And as I am in favor of herbal or natural food when it comes to boosting one's health, Turcumin is favored compared with fresh turmeric since I don't know how to make "salabat." The art of making salabat wasn't passed on to me. 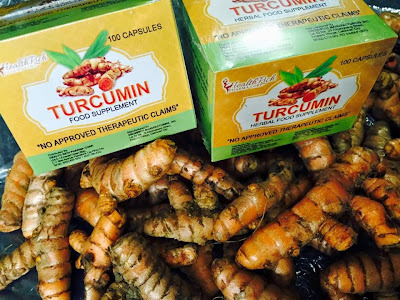 Turcumin is available in Mercury Drug stores and cost P15/capsule or P1,500/box (100pcs).